Following Simon Cox leaving the Association at the end of August to start his own business, we are pleased to announce that we have used the opportunity to recruit by widening and further developing the skill set of the organisation’s technical team. After 15 applications for the post and a series of interviews with a strong field of candidates, Paul McBride has been appointed as the new full time Technical Officer, joining Senior Technical Officer Simon Richmond and Approved Contractor and Registered Consultant schemes manager Paul Smith. Paul brings over 20 years’ worth of experience in the arboriculture industry and is still an active climber. Having run his own company, he has significant arboricultural business management knowledge, including Health & Safety and operations management. His varied range of skills, developed from multiple perspectives including local authority work, will enable the Technical Team to continue developing it’s training and technical support to the industry. Paul is well qualified and has already worked with several contractors who have become ‘Arb Approved’. He will pick up where Simon Cox left off in collaborating with the technical team, members and partners to develop the technical, training and support services the organisation provides to the tree care industry. Paul currently resides just outside of Oxford and is planning to move to the Stroud area once he has settled in to life at the Malthouse, where he begins in post on 2nd October. In another exciting development for the Association, as the industry grows and with it the demands placed on the Technical team at the Malthouse; we have the pleasure of announcing that Jim Mullholland will also join the Association as part-time Technical Officer. Jim runs his own consultancy firm based in Gloucestershire and has a strong background in ecology and arboriculture. Like Paul, Jim is well qualified in arboriculture and has experience at local authority level, having worked as a tree officer in Wiltshire Council for 3 years, before moving to his current part-time role with the Ancient Tree Forum (ATF), as the Training and Technical Officer. Starting his 2-day a week role for the Association on 4th September, he will bring a dynamic skillset, positive attitude and fresh perspective to the team at HQ. Jim is well placed to hit the ground running having already worked with the Technical team on a number of collaborative projects and training since joining ATF including the ongoing European Veteran Tree Certification project. 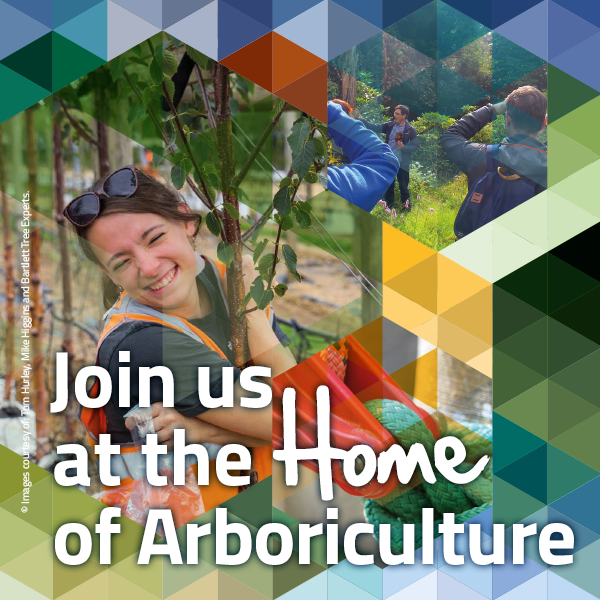 Already a popular Arboricultural Association course instructor and well versed with UK education and training alongside contributions to several publications; Jim is talking on bat roosts in trees at the National Amenity Conference in September. The team at HQ is thrilled to welcome both our new recruits, who clearly understand the importance of collaboration to continue the advancement of arboriculture and are ready to help continue the Association’s development as the leading body for industry professionals.